Mesh WiFi is one of the hottest new technologies sweeping the United States in both businesses and homes. The concept is simple: Mesh WiFi extends the signal of your wireless router so you can get reliable Internet access anywhere in your home or office. Larger than 3,000 sq. ft. These problems (among others) all lead to poor Internet connectivity, which makes it hard for someone to get reliable service to their computer, smartphone, or tablet. Mesh WiFi solves these problems by taking the radio signal from your WiFi router, capturing it, and rebroadcasting it with an improved signal strength. This naturally extends the area of WiFi coverage in your home or office, which also improves the reliability of your Internet connections overall. Now, instead of losing a signal in a bedroom or a walled-in conference room, you can enjoy streamlined Internet connectivity with minimal downtime. But that’s just a general overview, and that may not apply to your situation. So why should you get mesh WiFi today? On this page, we’ll break down the top five reasons you need mesh WiFi — even if you don’t think you do! The #1 reason to get mesh WiFi is reliability. This refers to the reliability of your wireless Internet as a whole. Without mesh WiFi, your home or office is prone to dead zones. Much like cellular dead zones, that means you don’t get the wireless service you need for your Internet-connected devices to work properly. That means you could lose a WiFi signal at any point, including in the middle of an app update or a product download. Mesh WiFi eliminates that possibility by taking your router’s original wireless signal and rebroadcasting it at its original strength. So while your router’s signal may only have a range of about 100 feet, your mesh WiFi units — called “satellites” — can reproduce the signal to cover an entire building. Let’s take a look at a quick diagram to illustrate this. In the first example, we’re dealing with an L-shaped building that only has one router located in the back corner room. While that room may have stellar WiFi service, the rest of the building outside of that signal area is a dead zone. With all that dead space, that means someone has to be in a very small area of service in order for their Internet-connected devices to work properly. But let’s take a look at that same building once it’s outfitted with four mesh WiFi satellites. 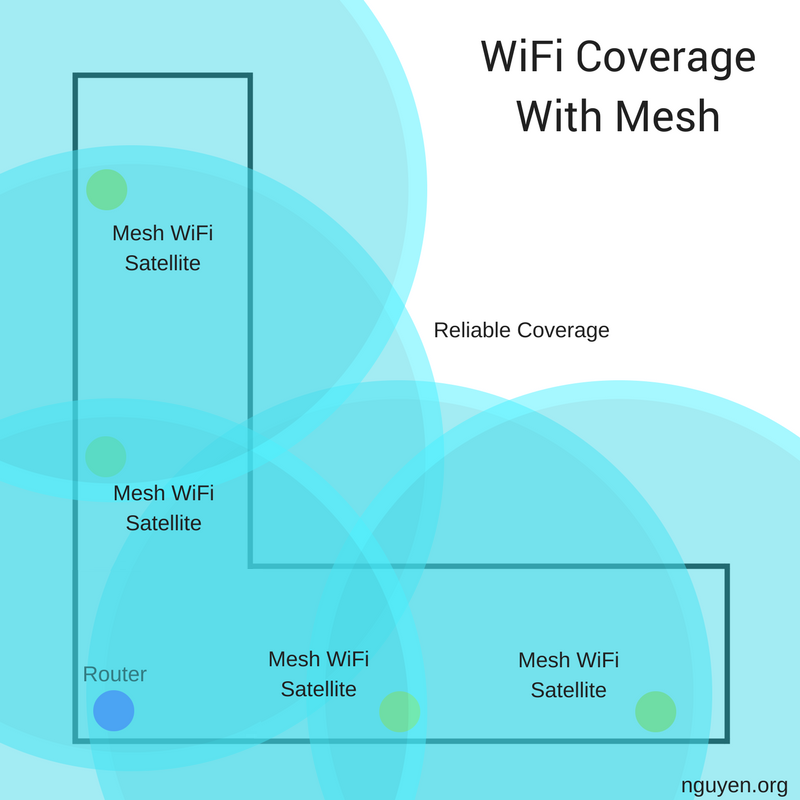 Adding multiple mesh WiFi satellites dramatically expands the effective coverage area of the original router signal. Keep in mind that these are not separate networks either — these mesh WiFi satellites rebroadcast the original WiFi signal, meaning you only have to connect to one network to get coverage throughout the whole building. Better yet, there’s even coverage outside the building. If someone wants to access the Internet outside the building or download a big application without using cellular data, they’re covered. Connection reliability is only the beginning, though! Mesh WiFi offers a lot more benefits, one of which is especially important to everyday users. Every WiFi router can only broadcast a signal a certain distance. As that signal travels further, it gets weaker and weaker. As we established, that means you could lose a signal easily at a certain distance from your router. But it also means you’re losing speed as you move further from your router. It’s a fact that a weaker WiFi signal means slower Internet speeds overall. If you live in a smaller house — like 1,000 square feet — you may not notice a speed difference going from your living room to your bedroom. But if you’re in a bigger house — like 3,000 square feet — the speed differences between your living room and bedroom could be enormous. In some cases, you may be able to stream Netflix in your living room, but you might not be able to get Netflix to even load in your bedroom! That’s a huge variation in speed, and it’s incredibly frustrating for anyone who’s experienced it before. That’s where mesh WiFi comes in handy. With mesh WiFi satellites positioned throughout your home, you get a much more consistent, even speed wherever you go in a building. In fact, you could get a satellite for every single room in the house to make sure your devices run as quickly as they possibly can on your Internet service. For most mesh WiFi users, that’s not necessary though. One or two satellites will be enough to maintain consistent speeds in most residential areas. Businesses may want to invest in more — maybe even a dozen, if the situation calls for them! In that case, you can use mesh WiFi satellites in conference rooms, IT hotspots, or even individual offices that are located far from your wireless router. That minimizes the loss in speed for which traditional WiFi is known. So if you have gigabit Internet service, you can expect that (or close to that) wherever you go in a building instead of dropping down to a few megabits of service. This is helpful for any kind of online activity from gaming to finance. But for those with an in-depth knowledge of networks and the technical skill to match, there’s another big benefit to this speed. Network management is the process of fixing, maintaining, or improving your WiFi network. It often requires on-demand access and an intimate knowledge of how you can optimize the signal strength and reliability of a wireless network. Mesh WiFi satellites make this easy because they often come with built-in app integration. That means you can control aspects of your wireless network from an application on your smartphone, tablet, or computer. These applications are often developed by the same company that manufactures your mesh WiFi satellites. With them, you can modify your network even when you’re not connected to it! You can change your passwords, reset your primary router, and more all from the convenience of an Internet-connected device. That includes your smartphone when you’re using cellular data! This is an incredible feature for anyone with a background in information technology or networking systems. Essentially, you can customize the inner-workings of your WiFi network by changing the behaviors of your mesh satellites and the router itself. That makes your network unique, and it allows you to manually optimize everything about it. If you’re worried someone else is using your network without your permission, you can often kick them off by modifying network settings yourself. Altogether, that makes mesh WiFi a dream scenario with anyone who has the proper IT knowledge to go along with it. Conveniently, that also empowers mesh WiFi with another benefit. Mesh WiFi is one of the most secure wireless networking strategies in the world. The biggest concern of first-time users is that they’ll boost the signal of their Internet service to the point where strangers can use it without permission. But because of the networking features we just mentioned and the manual control you have over your hardware, that almost never happens to mesh WiFi. In the unlikely event that it does happen, you can change your network settings, kick every device off your WiFi, change your passwords, and start using it again yourself. Some manufacturers of mesh satellites are also affiliated with accounts that you use every day, like Google. That means the security you use for your Google account is also available for your mesh WiFi hardware. Authentication, security questions, and other protocols are all at your fingertips. If you want to make sure your wireless Internet is safe, mesh WiFi is the way to make it safer. 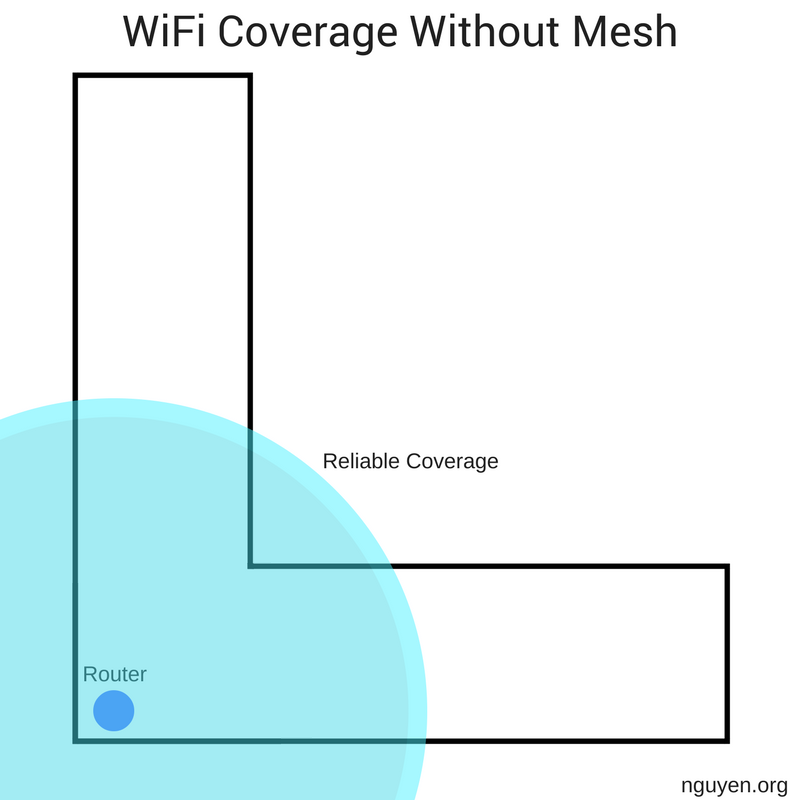 It may sound counter-intuitive since mesh WiFi satellites extend your router’s signal so far. But in reality, the inner-workings of mesh WiFi keep your wireless network — and your personal information — safe from outsiders. The four benefits we’ve covered so far are all great. They all relate to how mesh WiFi improves your online experience whether you’re using it at home or in a business. But let’s get to the bottom line. How much is mesh WiFi going to cost you? One of the best parts about mesh WiFi is that it’s never going to break your bank. You pay for the mesh WiFi satellites one time, you add them to your wireless network, and you never pay for them again. You’ll still have your regular Internet bill, and you’ll always pay for third-party subscriptions like Netflix or Hulu. But when you buy your mesh WiFi satellites, you only pay the up-front cost. Now, depending on your needs, that up-front cost could be pretty high. 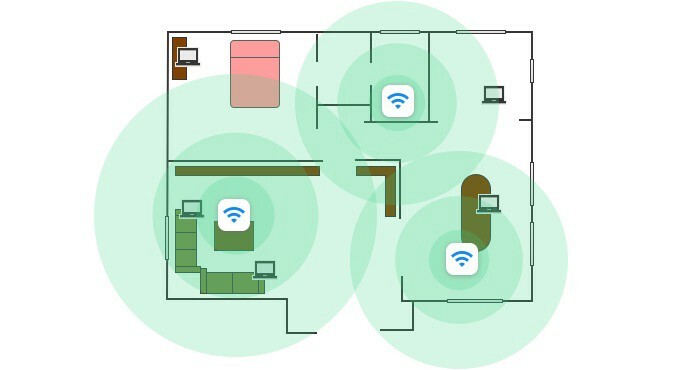 If you need mesh WiFi to cover a 3,000 square foot house that’s laid out with a bizarre floor plan, you’ll have to shell out $1,000 or more to get all the satellites you need. But if you just want to boost the signal of your WiFi in a bedroom or a basement, you can get away with buying one satellite for a few hundred dollars. Once you pay, that satellite is yours. No subscription, no extra fees — just fast, reliable Internet where you want it most. Now we just have one question to answer for you. Which mesh WiFi satellites should you buy? Several companies have started manufacturing their own mesh WiFi satellites to help you create reliable, safe, and consistent Internet service wherever you want. The first company is Google. Google recently started creating mesh WiFi satellites that look like small, white hockey pucks. Google calls their product Google WiFi. This is a great solution for residential users, especially since it gives you options to turn each satellite on or off individually. So if it’s time for you and your family to eat a technology-free dinner together, you can kill all the WiFi in your home to stop all the digital distractions. If you’re going away on a long trip and you don’t want to use extra electricity, you can always deactivate your network then as well. In a nutshell, Google WiFi gives you a ton of opportunities to customize and enjoy your own home mesh network. Best of all, one satellite can help your WiFi router cover a range of about 1,500 feet. Three of them can cover more than 3,000 feet. Altogether, it’ll only cost you a one-time fee of about $350. Another great mesh WiFi manufacturer is Eero. 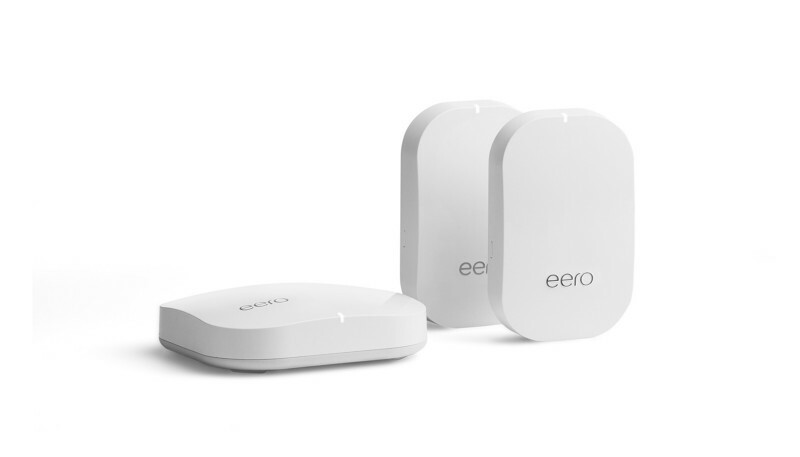 Eero is a company founded exclusively on the idea of providing widespread, reliable Internet services to homes. They only create a handful of products, but they package them into price points that let you choose exactly what you get at a price you can afford. 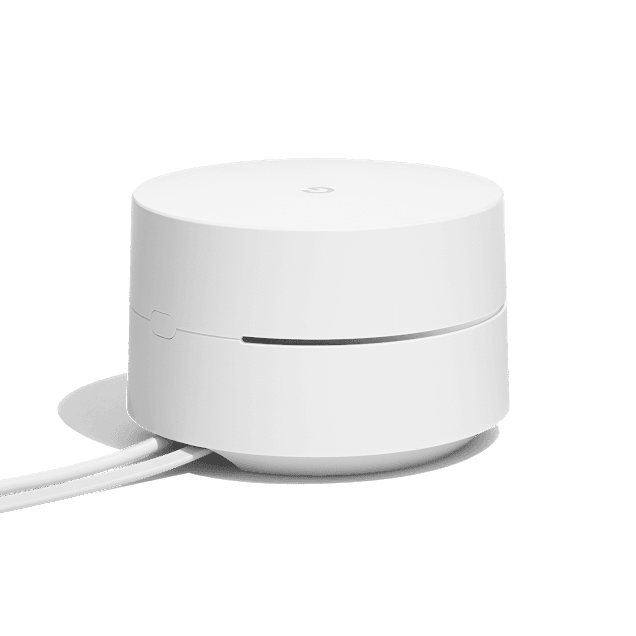 Eero’s WiFi satellites are called “beacons,” and they look like little thermostats. You can choose different kinds of beacons depending on what you want for your mesh network. If one style of beacon sounds like it’ll work better for you than another, pick it! The only downside is that Eero will cost you a little more than Google. Still, it’s a good deal. You may also elect to use the Eero Plus service, which provides you with a wide range of networking capabilities all at your fingertips. It’s not essential for someone using a home mesh WiFi system, but Eero Plus simplifies the networking tasks that you’d need a background in IT to perform. It also comes packaged with an ad blocker, antivirus agent, and other software to keep your network running quickly and cleanly. You can also find mesh WiFi satellites manufactured by other companies, including famous ones like Cisco. But Google and Eero have you covered for almost any residential need. You’d only have to go with a bigger-name brand if you wanted to use a mesh WiFi network for a business with a large headquarters the size of a hospital. Even then, Google and Eero can probably serve your needs in a pinch. Regardless, you’re the one who knows your system best! Want to figure out if Google or Eero will work for you?